Lock in a great price for Motel One Berlin-Potsdamer Platz – rated 8.9 by recent guests! The room was cozy and the hotel was very well located, next to Berlin’s biggest mall. The room was comfortable and clean. The location was marvelous - very short walking distance to all of the attractions. The tag line said it all: love the price, love the design: comfortable, clean, all you need, no froufrou. We had a smaller room on the fifth floor with balcony overlooking the “Bundestag” and the city to the south. At the end of a road trip parking below the hotel with direct access was very appreciated! The location is phenomenal. Right on the edge of Tiergarten and adjacent to the Brandenburg Gate and Reichstag. 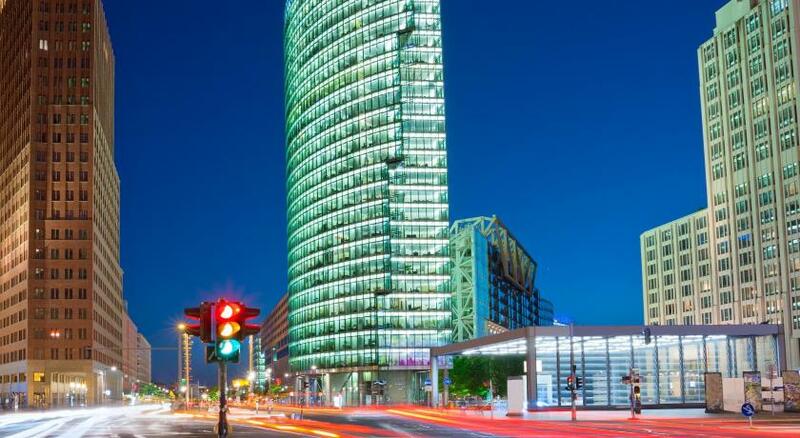 Only steps away from the subway and underground at one of the major stations, Potsdamer Platz. Above the mall so you can watch the people but they can't see you and you don't get any noise. 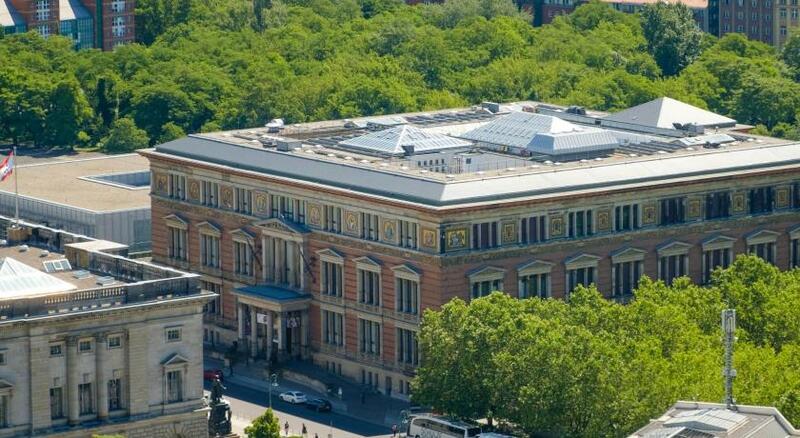 This hotel is centrally located and is walkable to museums, and most of the historical sites. There is excellent public transportation U and S bahn stations to get to more distant sites such as East Side Gallery, zoo, or even Potsdam. The staff were professional and friendly. Rooms were clean and functional (except for tiny bathroom with door that closes automatically so bathroom stays steamed up after shower (fan?). Very comfortable rooms just steps from Potsdamer Platz and next to good shopping at the Mall of Berlin if you need anything. Very nice roof terrace adjacent to breakfast/social room. Great location, very clean facilities, soundproof room and pet friendly! Breakfast had a decent organic variety for the cost (€10). Motel One Berlin-Potsdamer Platz This rating is a reflection of how the property compares to the industry standard when it comes to price, facilities and services available. It's based on a self-evaluation by the property. Use this rating to help choose your stay! Located only 650 feet from the famous Potsdamer Platz and directly opposite the German Bundesrat (federal council), this modern accommodations is centrally located in the Mitte district. It offers a garden, terrace and free WiFi access. Motel One Berlin-Potsdamer Platz features bright rooms decorated with contemporary furnishings. Highlights include soundproofed windows, air conditioning and a flat-screen TV. Breakfast is served each morning in the motel’s inviting dining room. 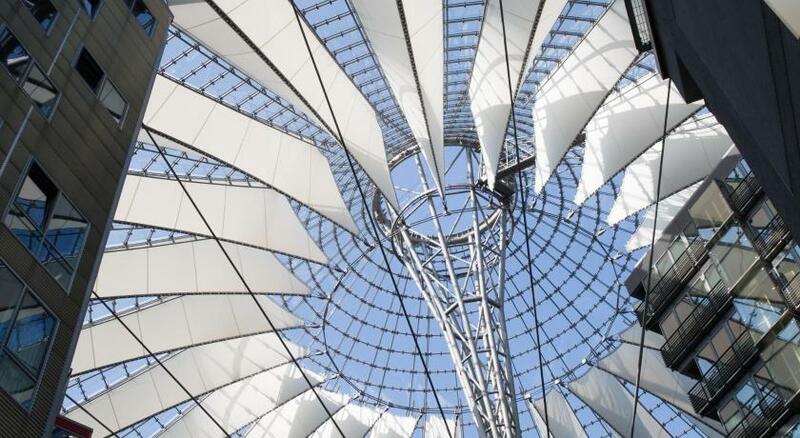 There are numerous cafés, bars and restaurants within a 5-minute walk of Motel One Berlin-Potsdamer Platz. Nearby attractions include the famous Brandenburg Gate (0.6 mi), Checkpoint Charlie (3,100 feet) and the futuristic Sony Center at Potsdamer Platz (1,150 feet). Potsdamer Platz S-Bahn Train Station is less than a 2 minutes’ walk from the hotel and provides excellent connections around Berlin. Berlin Tegel Airport is 5.6 mi away. When would you like to stay at Motel One Berlin-Potsdamer Platz? 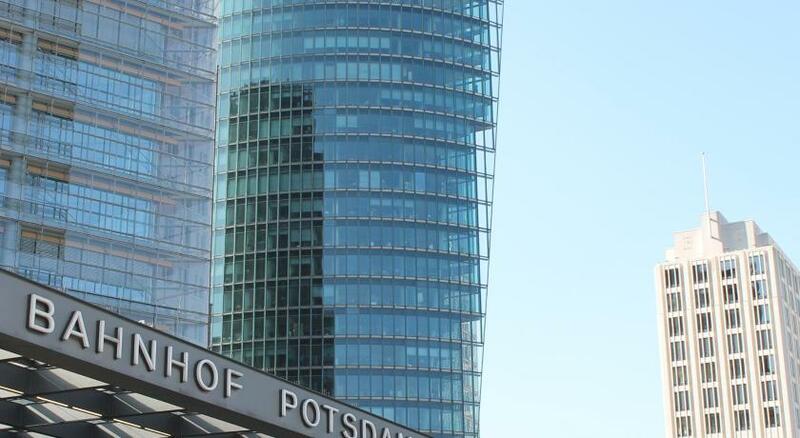 Your hotel in Berlin at Potsdamer Platz located at the Mall of Berlin. Berlin is not a place to travel but a place to feel and live. 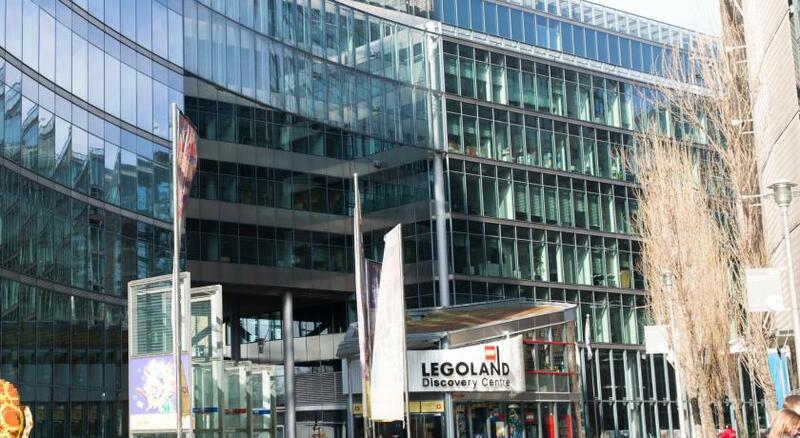 Especially the area around Leipziger Platz close to Potsdamer Platz is one of the most exciting places in the capital. Experience the history of this city at first hand, join enchanting events, starting with bubbly street festivals trough to the impressive film festival Berlinale and the unique mixture of art, entertainment and shopping. Your low budget design hotel Motel One in Berlin at Potsdamer Platz. House Rules Motel One Berlin-Potsdamer Platz takes special requests – add in the next step! Motel One Berlin-Potsdamer Platz accepts these cards and reserves the right to temporarily hold an amount prior to arrival. Guests arriving from the underground car park are asked to use the elevator up to platform B. The beds very too soft and one bed was slanting so you nearly slid out of it. Hotel was modern, very nice, breakfast room and terrace very nice. Location fantastic. Maybe a few things missing in the room, like safe box, mini bar, more place to hang the clothes. But nothing really important. No much to do after 10 pm, maybe because it was Easter holidays? The location, just excellent. The simplicity without missing nice details. Room quiet, clean, lightly. Amazing breakfast. Friendly personnel. Easy connection with everything. The bed was very comfortable and the room exceptionally quiet for being in the middle of the city. We were on the 6th floor which may have helped. Could hear a bit of noise in the morning when all were leaving. Bathroom was very modern and nice. I like that the hand soap was a bit bottle and not all these small plastic bottles or bars. A kettle in the room would be nice! Awsome location, the U2 was good to get us places, and the central station was extremely close! Central location, clean and nice rooms, friendly staff, fresh and tasty breakfast! Brilliant value for money given central location. Comfortable bed.